I recently replaced the white plastic bushing for my headlight adjuster. 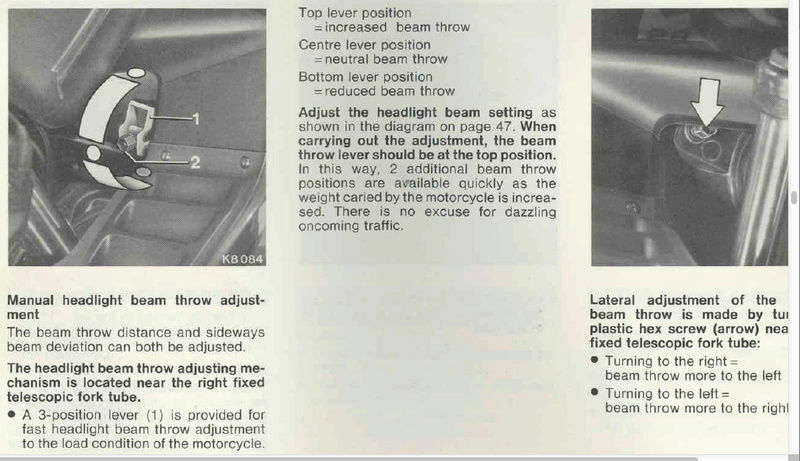 Is anyone familiar with the headlight adjuster setup for a bmw k100? I’m not certain to f I have set mine up correctly. 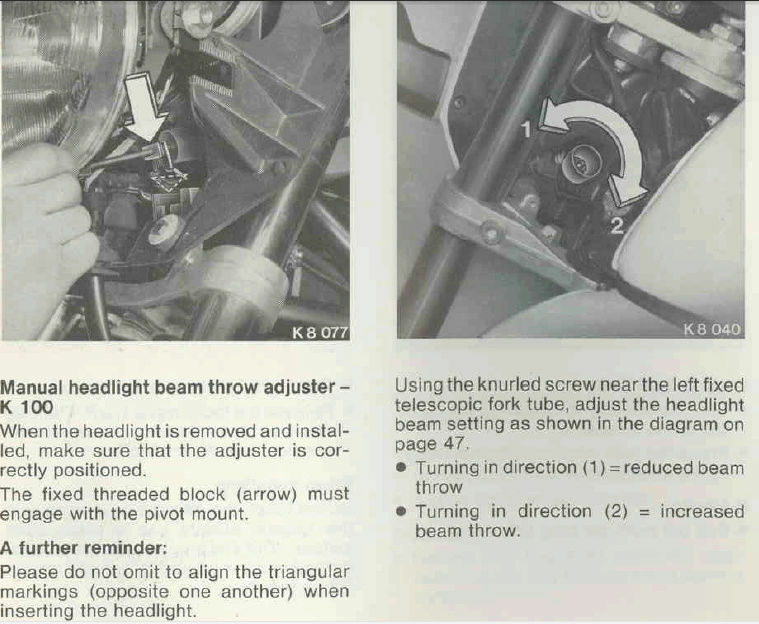 Here are some information from the 1984 K100 Riders Manual—one for the K100 and one for the K100RS. 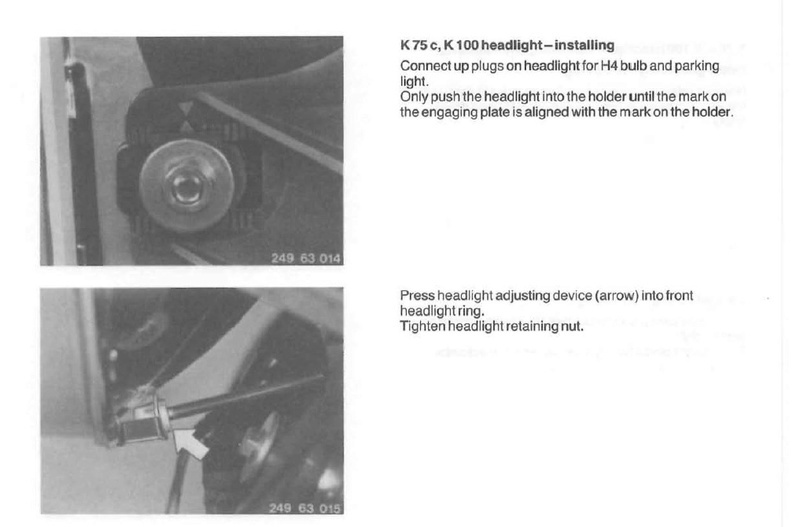 Note the adjuster positioning instructions. I appreciate the info you have posted Laitch. 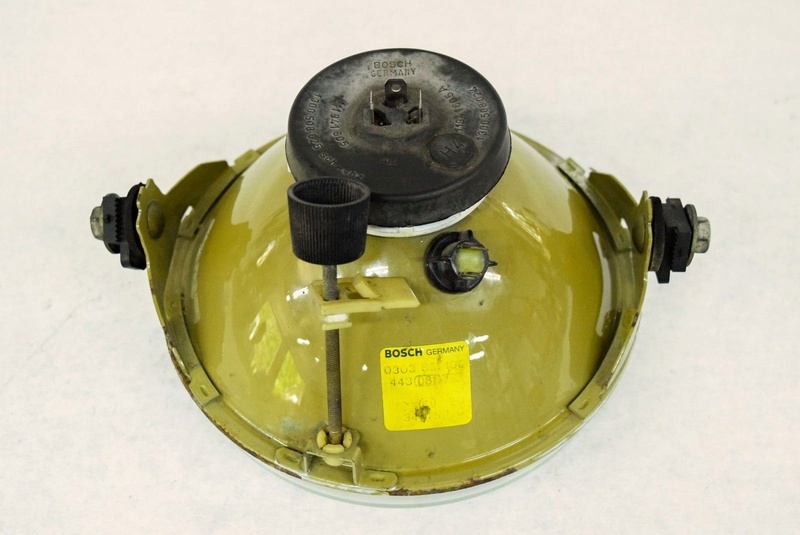 Does anyone know how the white plastic bushing attaches to the headlight and headlight adjuster?